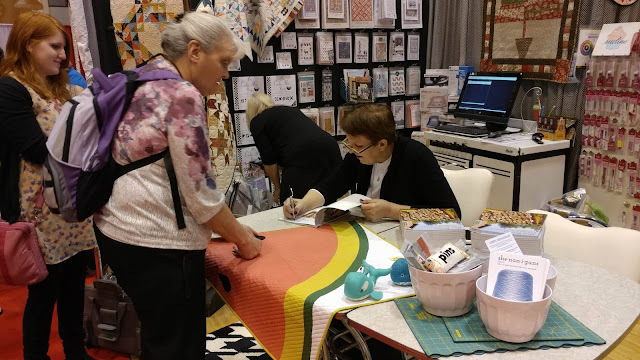 It's been a little over a week since I returned from my very first Quilt Market experience, so I thought I better share a few things from there! Quilt Market is an industry trade show. Those that attend are either exhibitors (businesses that sell quilting related things), industry professionals (designers, bloggers, etc), or buyers (quilt shops). In preparation of attending, I made a quilted tote bag with my Slice of Pi Quilts logo on it. (Read about the tote here.) 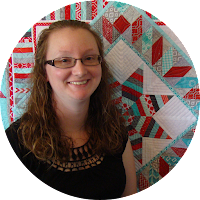 I wanted a way to really take advantage of my time and the concentration of potential buyers that would be present! I came up with the idea to carry a few mini pies with me as fun giveaways. 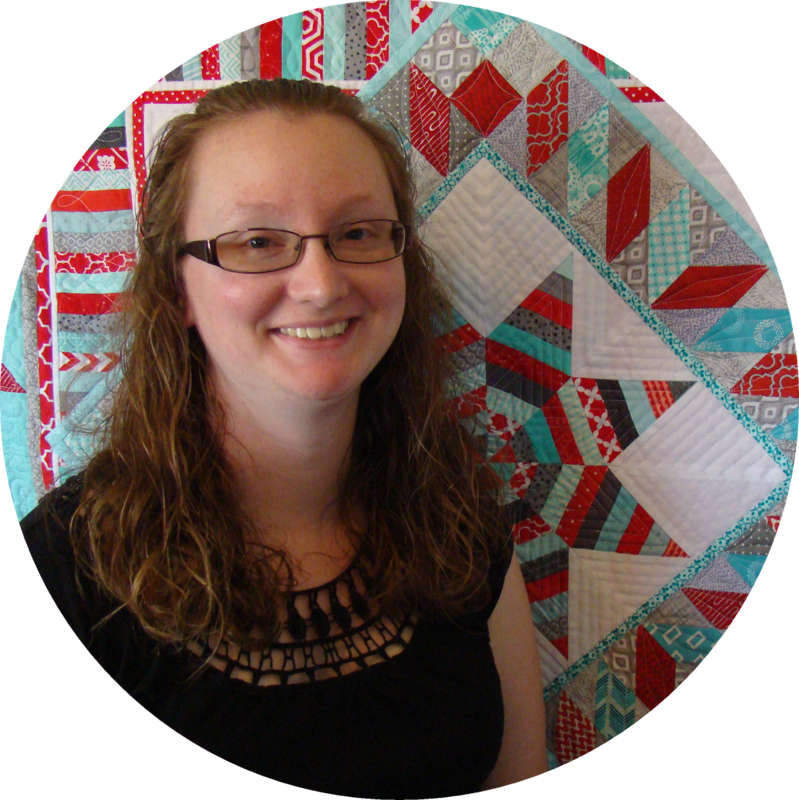 I posted in the Quilt Market app and on my social media accounts for people to say "I like Pi!" to me and I'd give them a free pie! 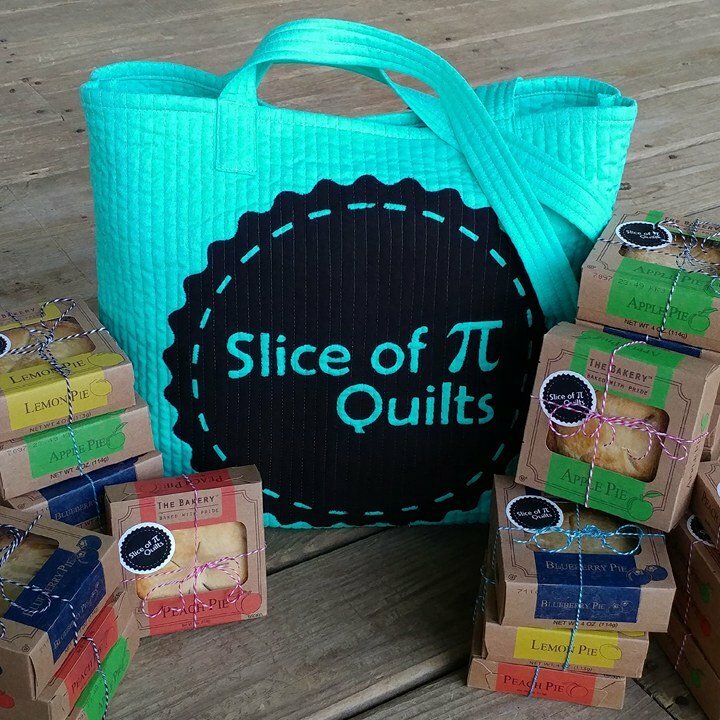 Thursday, while waiting in line for Sample Spree, someone shouted, "I like Pi!" I was so excited that it worked! Each day I had several people come up and engage in conversation just because of my bag and the free pies! Definitely worth the time and marketing dollars! 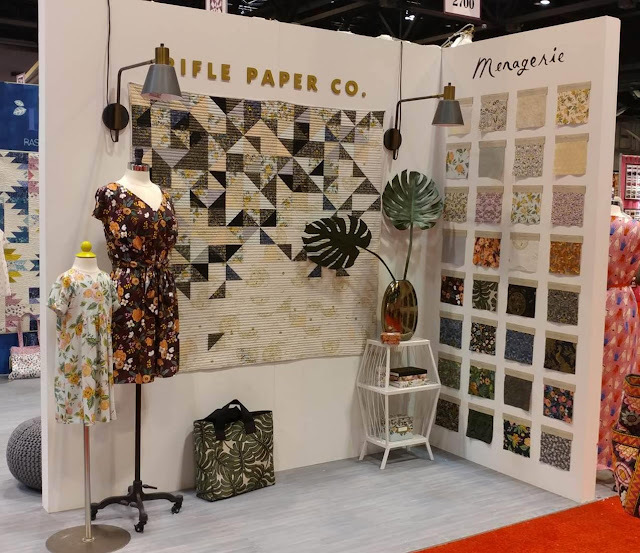 Sample Spree is an event where fabric companies (and other exhibitors) sell their newest products at wholesale prices. 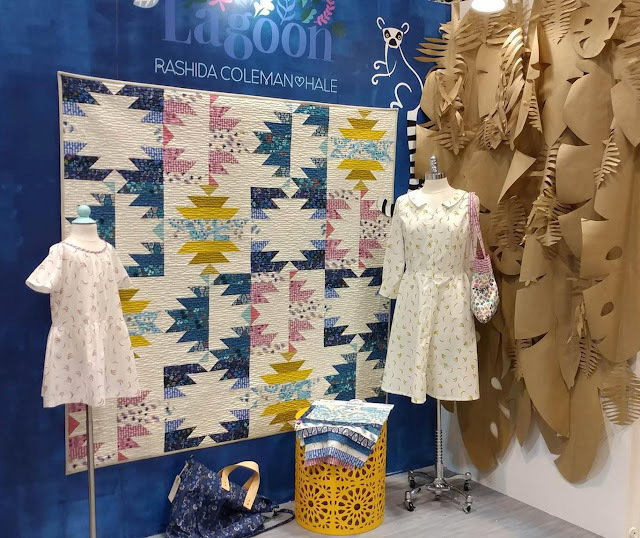 It's the first chance for quilt shops and pattern designers to get the newest fabrics to use to make shop samples or cover quilts for patterns. I jumped in to get the whole experience and waited in line for three hours to be able to see what all the hype was about! 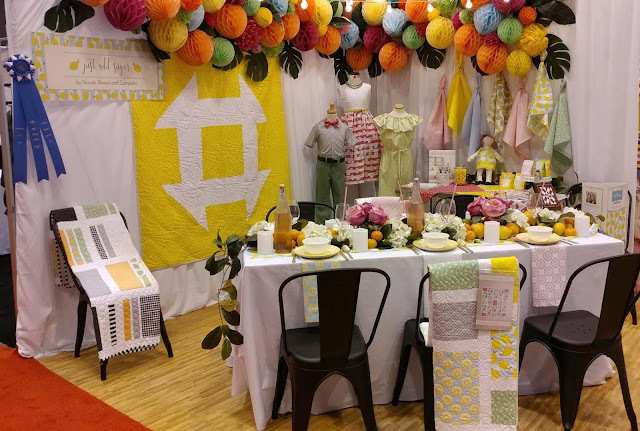 It was a fabric feeding frenzy! I stayed well within my budget and purchased just a few of the newest fabrics for upcoming patterns. 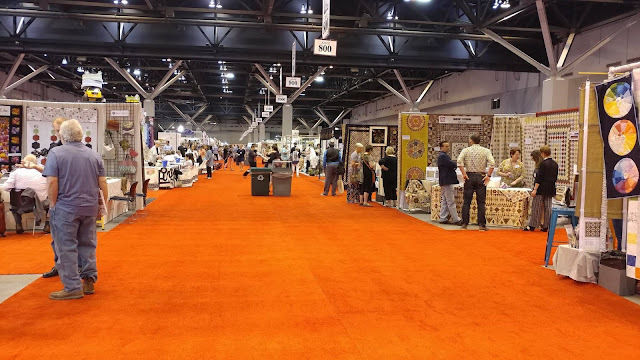 The show floor had a couple hundred exhibitors in a traditional trade show format. Each exhibitor had a booth to try and grab your attention and sell their products. The convention center was huge! Easily miles and miles of walking each day! There was so much to look at! The show was visually over-stimulating. I quickly had to decide to skip booths that didn't catch my attention or didn't have products that aligned with my business goals. The first day (Friday), I just decided to walk the entire show floor to try and take it all in. I walked quickly and made very few stops. It took me four hours to walk all the aisles! 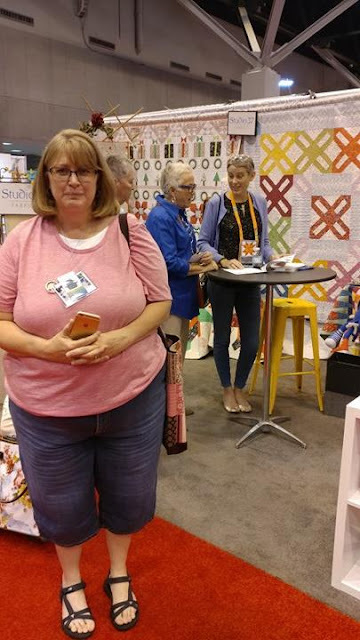 I had two quilts of mine in booths of distributors, and my Aurifil mini quilt was in their booth. 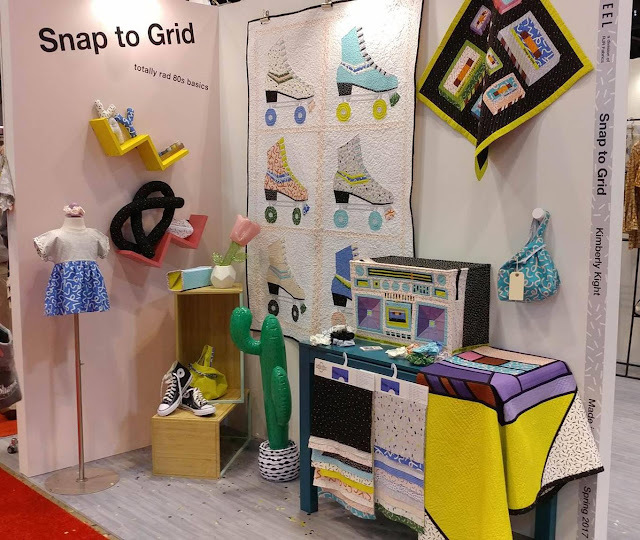 It was exciting to see my quilts on display and getting such exposure! 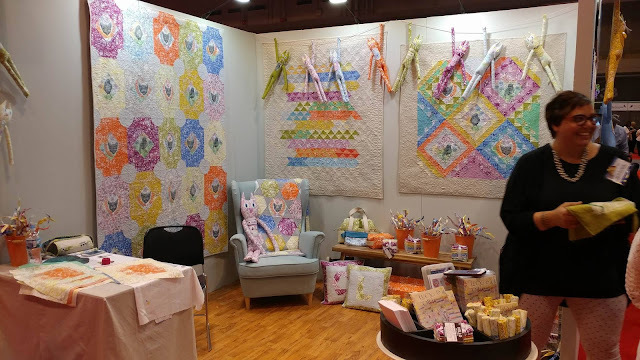 My Rockslide quilt is on the far left! This is the Checker Distributors booth. That's my Sliced quilt on the table where the book signings happened in the United Notions booth! 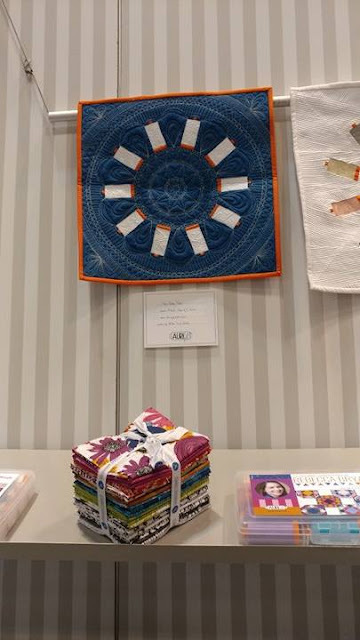 My Aurifil mini quilt in the Aurifil threads booth. My patterns in the Checker Distributors' New for Spring catalog! 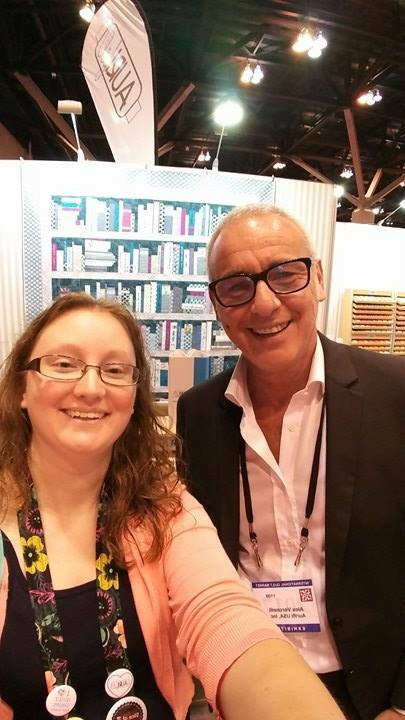 At first, it was awkward to take photos with "sewlebrities" and other well-known faces in the industry. But I had to just bite the bullet and ask! As the days went on, it became easier to engage with others that I only knew online. 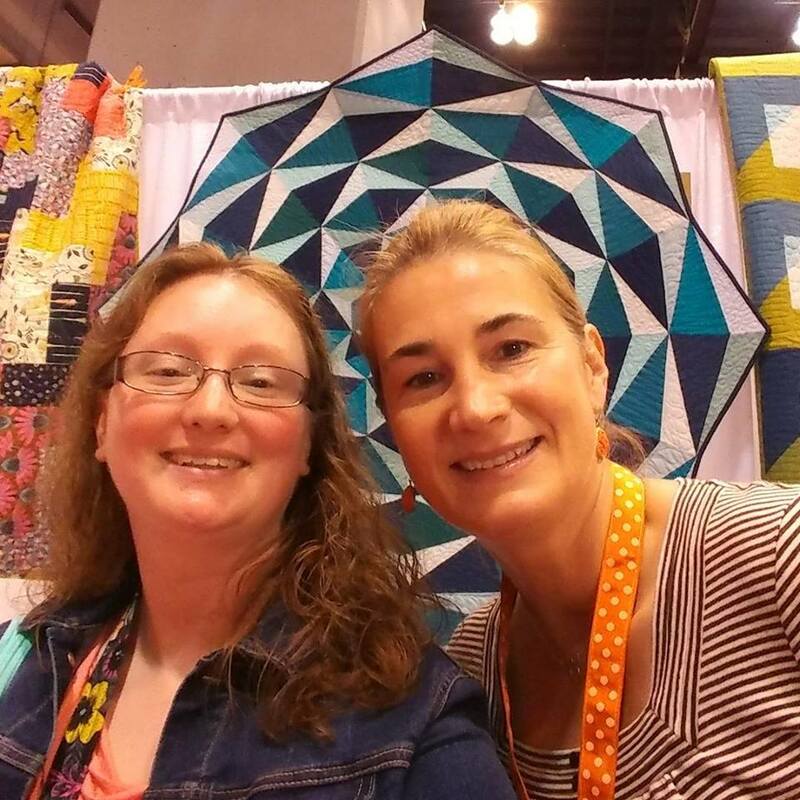 Jenny from Missouri Star Quilt Co. 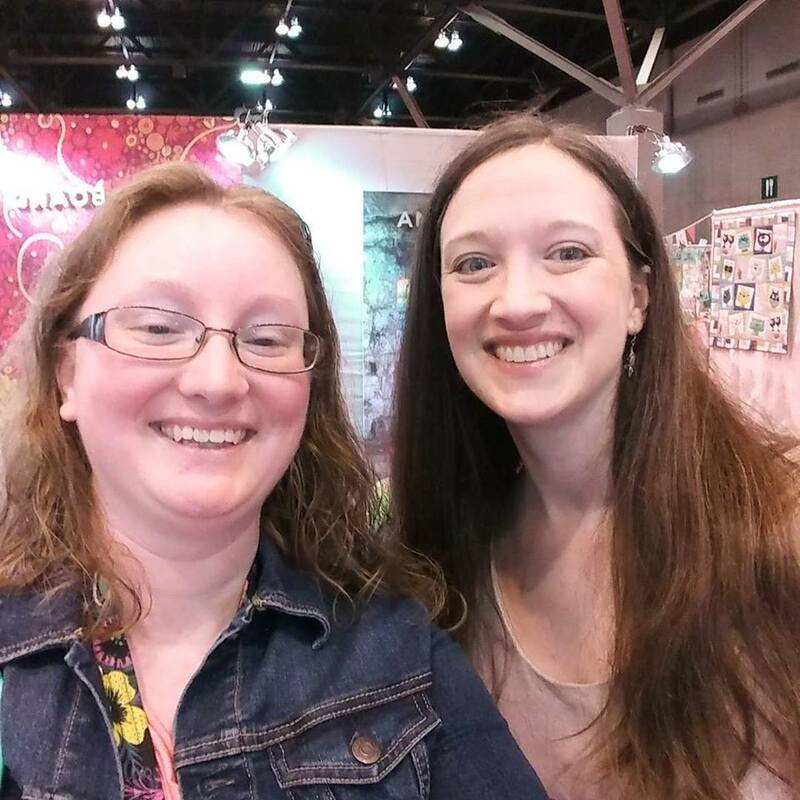 Attending Quilt Market was even better than I expected! I was able to make connections with several companies in the industry that wouldn't have been possible online. I was also able to network and meet other pattern designers that immediately resulted in more connections and introductions. 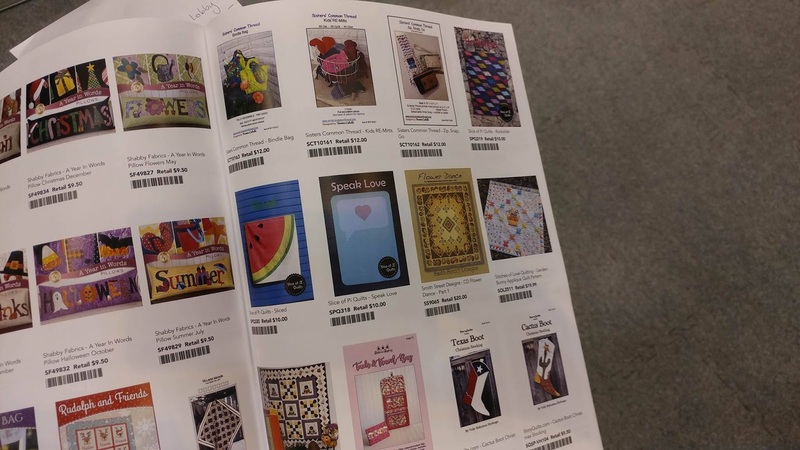 There are already several upcoming projects in the works as a result of the connections I made there! 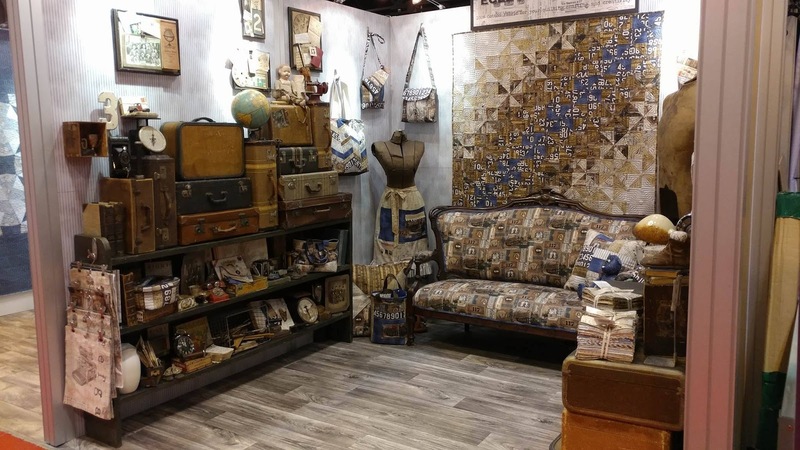 Just Add Sugar fabric by Simple Simon & Co. 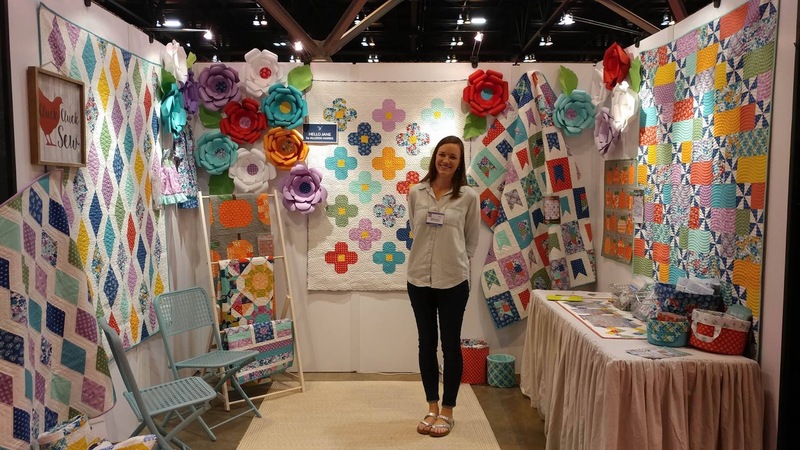 I learned SO much from my first Quilt Market! 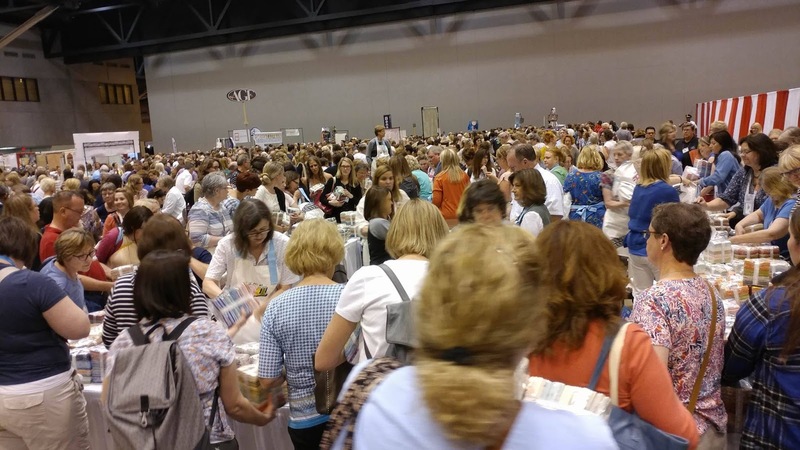 I hope to be able to attend again - and maybe one day be an exhibitor too! 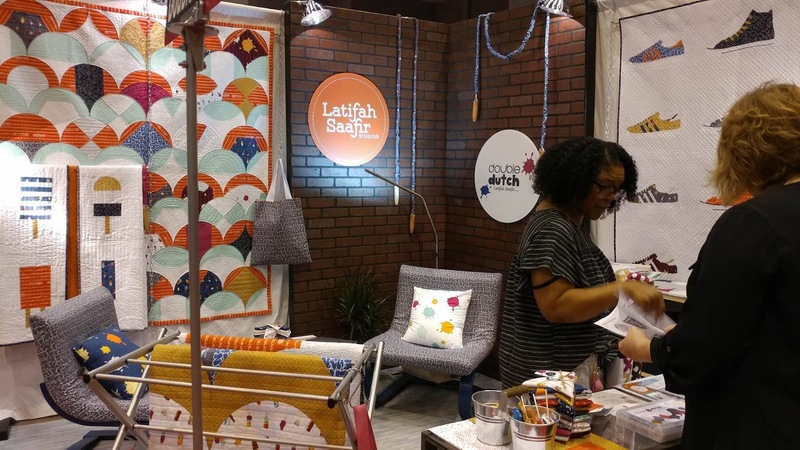 I also had the opportunity to write a recap post for Craft Industry Alliance, so hop over to their blog to read that! Thanks for sharing this, Laura! 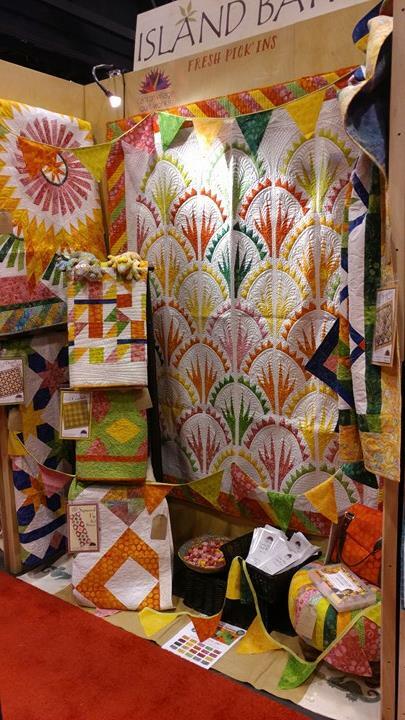 It must have been really fun to see your own quilts on display, and your little mini pies was a great idea! I love the bag, by the way -- the color is fabulous. I'm pretty sure I would have been tired, overwhelmed and excited if I had been there. 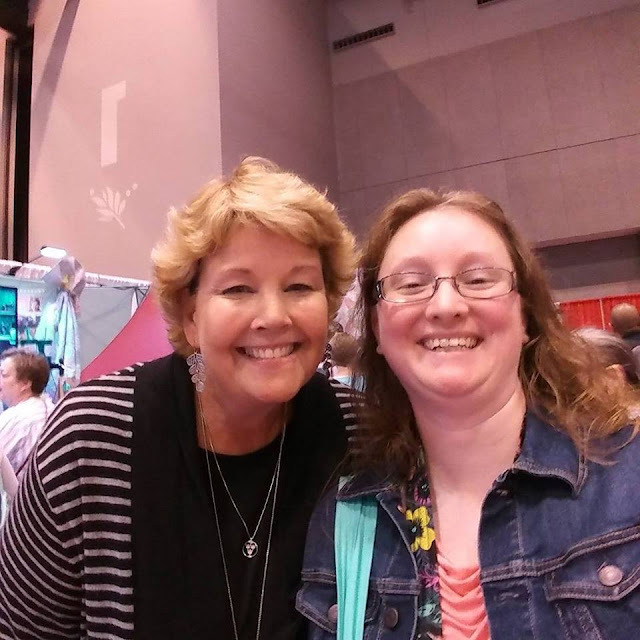 You got to meet some really fun people too! Thank you so much for sharing! I never get tired of reading people's Quilt Market experiences .... almost makes me feel like I'm there :) Your marketing idea of mini pies is so clever! It looks like you had such a fantastic and productive time. Sample spree must be crazy ... 3 hours? Wow! It sounds like you had a wonderful experience, Laura! Congratulations. Your "I love PI" marketing idea was brilliant and sounds like a really fun ice breaker. 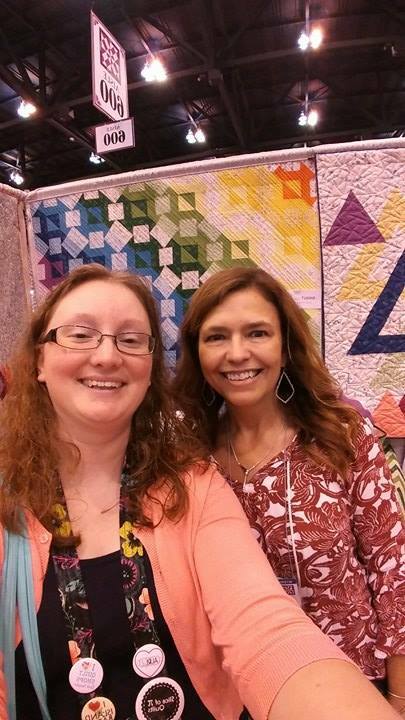 :) And I spied 3 Quilt Theory quilts in the Checkers booth with you, it was exciting to see them in your photo, too, so double thanks! 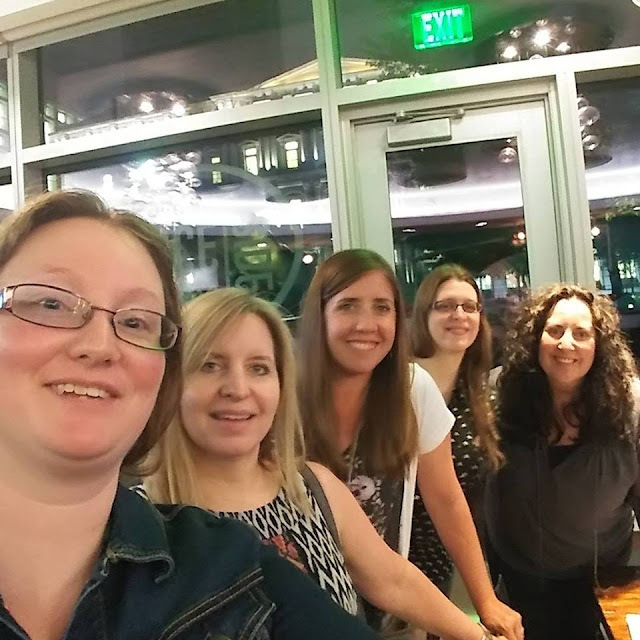 Great recap Laura, I enjoyed reading it and your photos were wonderful. 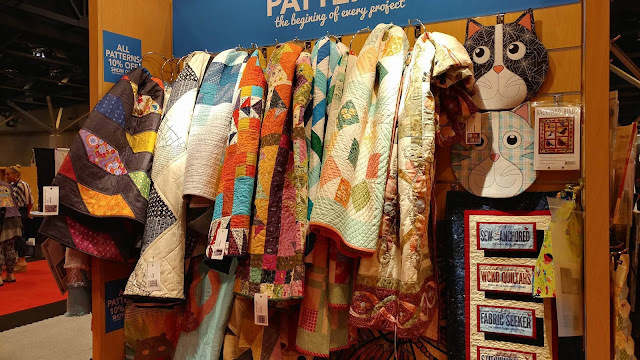 I hope there will be many Quilt Markets in the future for you. Sounds like you had a wonderful time and were successful making new business connections. I wish you well your business now and in the future. You certainly have the necessary enthusiasm. Super interesting market recap! 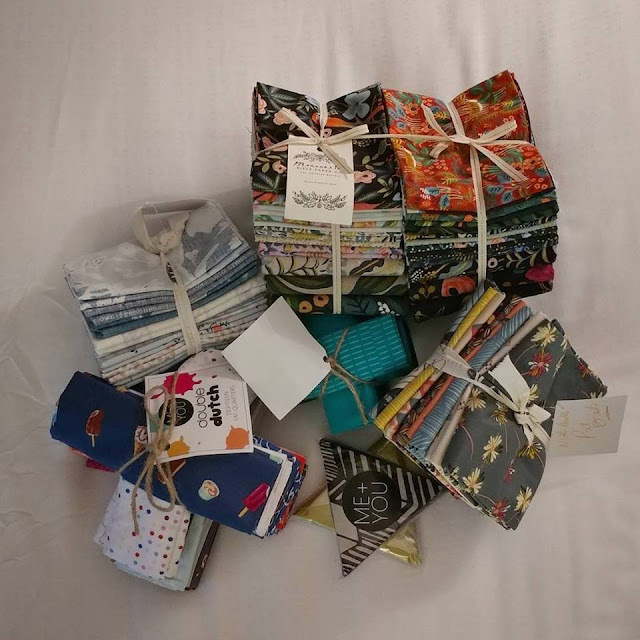 Can't wait to see what you do with those exciting fabrics!!! Loved seeing all your pic's of market, thanks for sharing them! Were you able to sleep at night after all that excitement!!! Seeing all those pics makes me want to go back!! 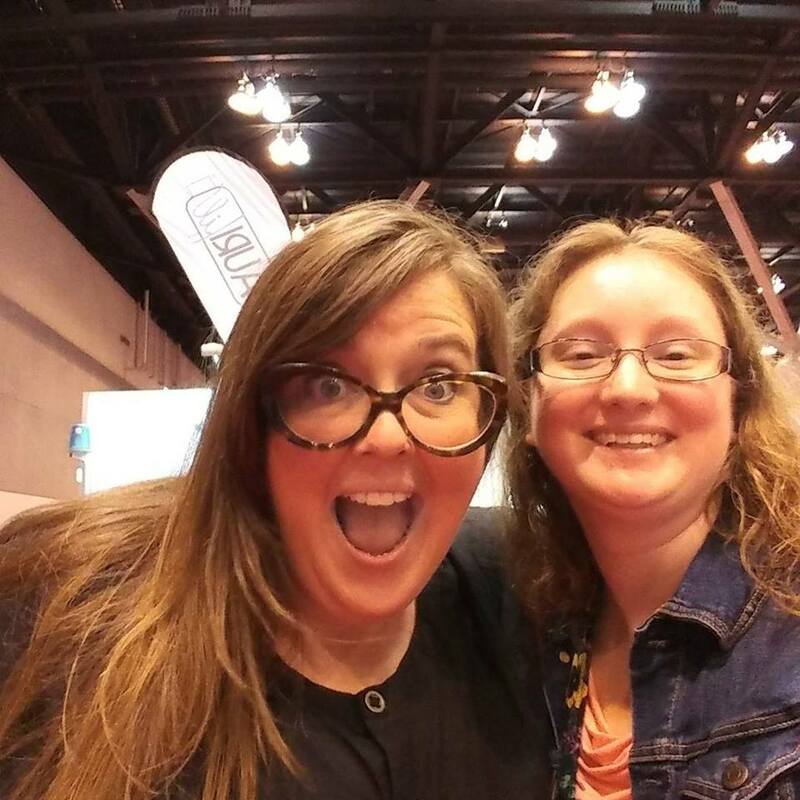 It was great to meet you Laura, I love your energy and your sense of humor!